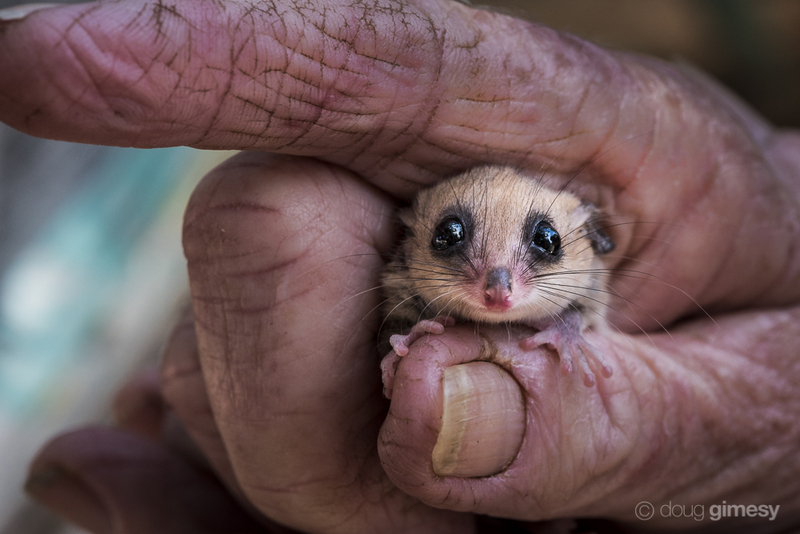 An elderly wildlife carer hold a western pygmy possum (Cercartetus concinnus) on Kangaroo Island (South Australia). There a five extant species of pygmy possum - four are endemic to Australia and one species also co-occurs in Papua New Guinea and Indonesia. This one was photographed on Kangaroo Island and numbers are good.